New Delhi, February 3 (Mihaaru): India has increased aid for Maldives by four times in the country’s annual budget proposed for 2019 to 2020. In the budget proposed to the Indian parliament, MVR 5.5 billion (US$ 361million) was allocated as aid for Maldives. This is 460 percent more than the MVR 1.2 billion (US$ 78.8 million) given in 2018. India’s estimated budget for 2019 includes USD 2.8 billion as foreign aid for neighboring countries. From this set amount, Butan was allocated USD 1.6 billion, which is 40 percent of the entire foreign aid budget. 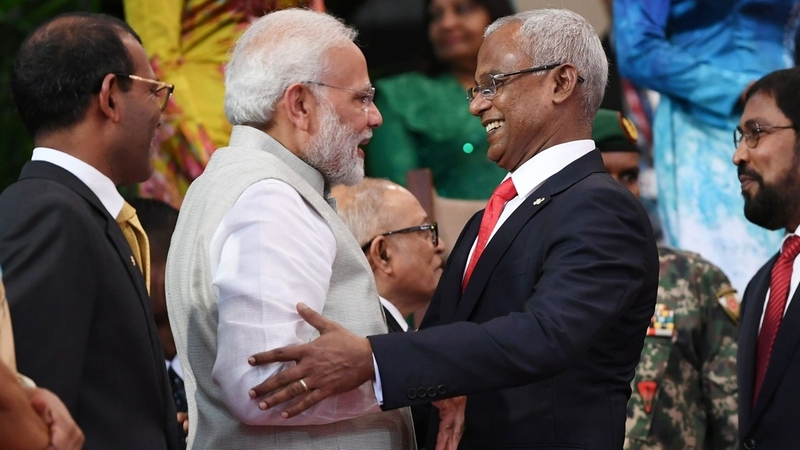 President Ibrahim Mohamed Solih visited India in December 2018 on the invitation of Indian Prime Minister Narendra Modi. India and Maldives have been maintaining close diplomatic relations.